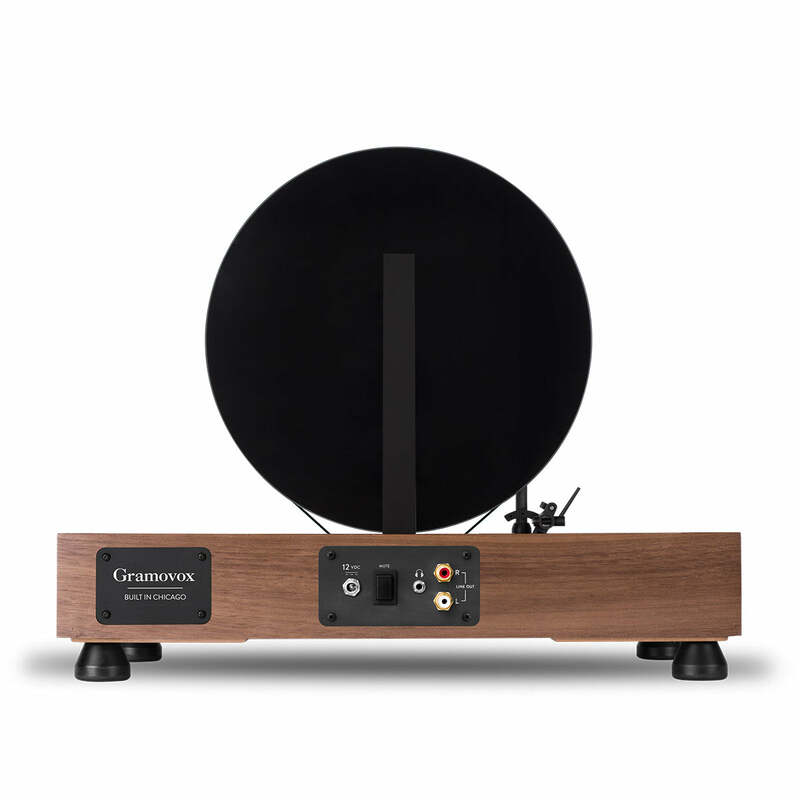 Walnut finishing of vertical turntable floating record from Gramovox where built in Chicago. a A high-performance turntable that plays your records vertically through built-in, dynamic, full-range stereo speakers. This player is not only the coolest looking record player, but it has an element of nostalgia that brings a whole new experience to listening to music. 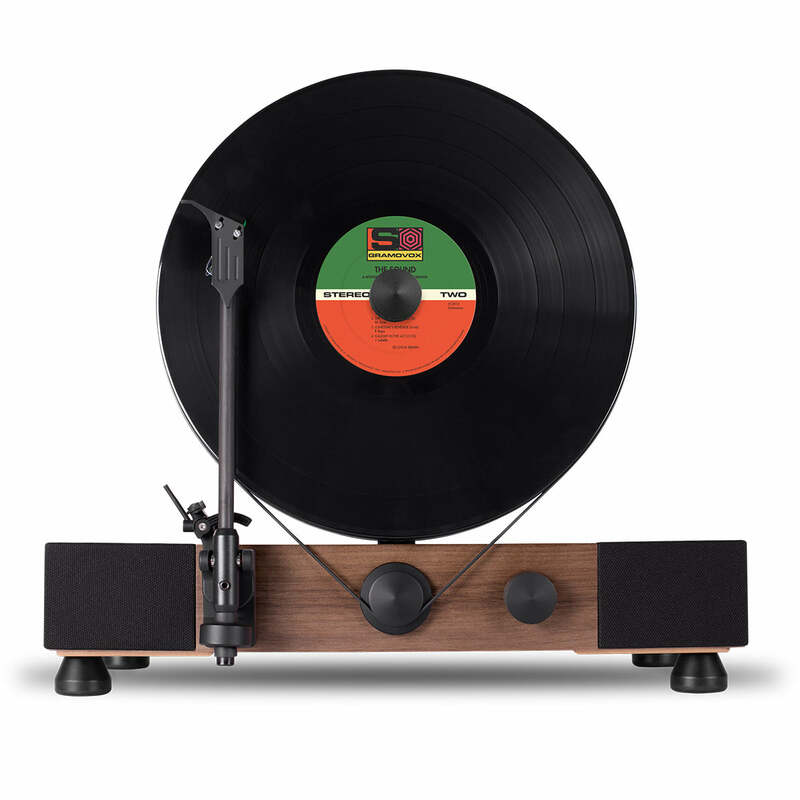 Box kits including Floating Record (Walnut or Maple Wood Veneer Base) body, Polished Acrylic Platter, Felt Mat, Pre-installed AT95E, Cartridge, Vibration Dampening Feet, Silicon Belt, Record Clamp and A/C Adapter (USA or International w/ adapter plug points).